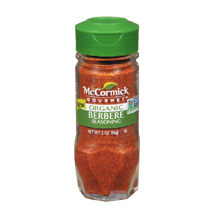 McCormick Berbere: One of McCormick Gourmet’s new seasonings and Ethiopia’s most popular seasoning contains an array of spices like cayenne pepper, paprika, cardamom, ginger, and cinnamon. East Africa’s hot, sweet and citrusy flavor work with chicken stew and meats, as well as lentils and veggies. American Diabetes Association: Complete Month of Meals: What is cool about this book is its three-part, split-page design. The design allows you to interact with the pages by flipping the breakfast, lunch, and dinner tabs so to mix them for a variety of daily meal plans - - and be able to see them in one view. Soul: A Chef’s Culinary Evolution of 150 Recipes: great recipes in a gorgeous, thick, colorful, book. eClip: a new device that reminds parents to take their child out of the backseat to prevent tragic hot car deaths - experts say it happens year-round and can happen to anyone. The Sweet Flypaper of Life: a pocket sized book with photographs by Roy DeCarava and text by Langston Hughes. Crossing the Line: Arthur Ashe at the 1968 US Open: through photographs, essays, and interviews Arthur Ashe’s story is retold as more than sports history, but American history. Note: When you shop through smile.amazon.com and identify Middle Passage Ceremonies and Port Markers Project (MPCPMP) as your charity, 5% of your eligible purchases are donated to MPCPMP.